Originally published February 13, 2018 in West Hawaii Today. For more tasty pairing ideas, and a little movie talk, join me and Gary Cogill March 1 at Studio Movie Grill, Royal Lane in Dallas for our 90th Annual Academy Awards Preview. Details and tickets here. Cheers! Love is in the air as Valentine’s Day approaches. But what is the perfect gift to show how much you care? This year give bottles of sparkling Rosé, and dark chocolate filled red wine, instead of the traditional bunch of roses or box of chocolates. 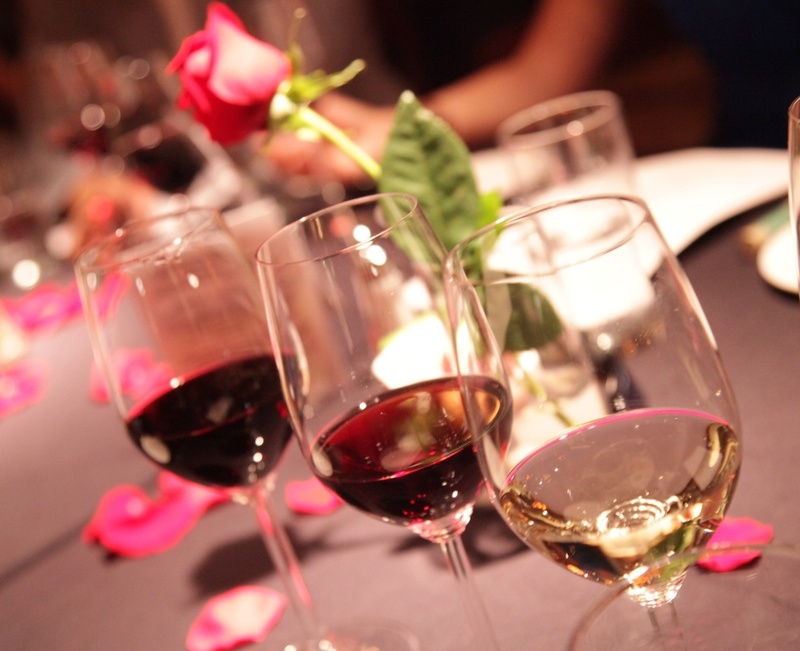 Here are a few ideas to shower your sweetie with flavorful romance. Sparkling wine is always appropriate, but especially on Valentine’s Day. 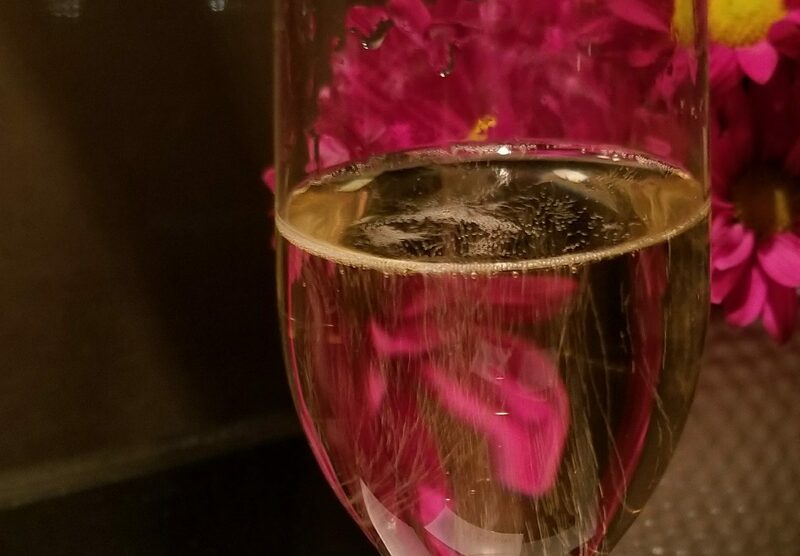 Indulge in the elegance of Brut Rosé Champagne, melding wild strawberry, tangerine and red cherry with a fruit-forward but dry palate, like favorites from Veuve Clicquot ($75), Billecart-Salmon ($90) or Bollinger ($100). Domestic selections also deliver classic style, with a lively freshness and thousands of dancing bubbles, with a slightly more affordable price tag than Champagne. Look for impressive traditional method selections like JCB no 69 ($30), Domaine Carneros Cuvee de la Pompadour ($39), Mumm Napa Brut Rosé ($25), and J Vineyards Brut Rosé ($45). If your sweetheart melts over divine chocolates, Cabernet selections from Caymus ($105), La Jota ($100), and Frank Family ($75) will please, melding dark chocolate with blackberry, cassis and woody herbs. If the layers of your love are woven together into one, Quilt Cabernet Sauvignon ($45) is ideal. If your persistent passion is never-ending, a bottle of spicy, smoky Shafer Vineyards Relentless Syrah ($100) will thrill. If thanks are in order, for your partner through thick and thin, consistency is best with wines that deliver varietally spot-on wines. 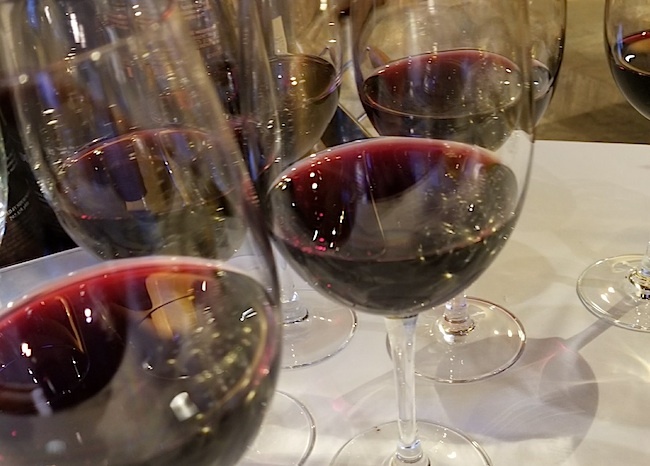 Consider Barolo, the King of Italian wines, like Vietti Barolo Castiglione ($60), Old World Bordeaux like Clos Fourtet Saint Émilion ($199), or a savory, spicy Rhone blend, like M. Chapoutier Châteauneuf du Pape ($75) or E. Guigal Cote Rotie ($70). A note of caution, of all the wines to chose this Valentine’s holiday, it’s best to save the luscious red cherry and roasted fig filled Prisoner ($45) for another occasion.